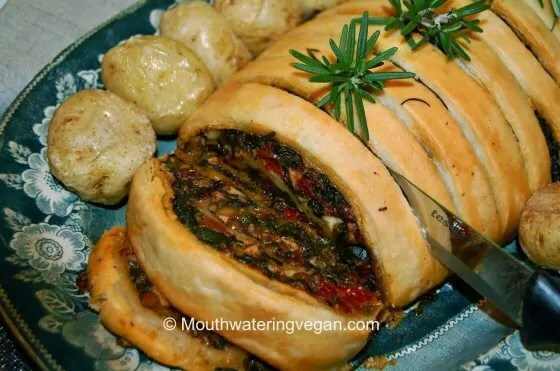 Whether you love to indulge in chocolate bliss over Easter, or savour sweetly spiced hot cross buns, or maybe you love a healthier indulgence, this round-up of vegan recipes has everything you could need for a deliciously, cruelty-free Easter! You can also win yourself some super yummy and fun chocolate treats from the wonderful Hotel Chocolat who offer the most wonderful, luxury vegan chocolate. The winner will get the Dark Chocolate City Bunnies and the Dark Easter Egg Sandwich! Not your average Easter egg, so much more fun! Make an Easter Feast with these delicious recipes! ‘Tis (almost) the season for asparagus and this Cream of Asparagus Soup from Vegan Yack Attack looks like a perfect way to enjoy it’s short abundance. This entry was posted in vegan and tagged baking, chocolate, dairy free, dessert, easter, food, giveaway, gluten free, vegan, vegetarian. Bookmark the permalink. I like serving a turkey for Easter, with a homemade cheesecake and ….lots of chocolate! I always make Easter Biscuits 🙂 Other than that not really, except we always have some sort of fish on Good Friday! We don’t really have any easter traditions apart from chocolate easter eggs. roast lamb dinner with lots of chocolate eggs afterwards! Oh my goodness THAT EGG!! SO many amazing options here! Thanks so much for sharing my Vegan Carrot Cake Balls!! Carrot and coriander soup, nut roast with roasted vegetables and hot cross buns. Our Easter food tradition is to have the second half of our Xmas turkey crown as our Easter Sunday lunch! Yum! What a delicious list! Is this open internationally? We always have a lamb Sunday Dinner on Easter Sunday! In our food-philosophy-mixed home probably fish will be served for main (from sustainable sources), and otherwise I’ll opt for foods naturally yellow, orange, pink and green. I think of baking vegan cinnamon buns or donuts. Sure 🙂 Thank you for creating a space to do so! A Polish cake we have which is made with nuts but very little flour. It’s my favourite. OOh that sounds interesting! What is it called? My stomach is rumbling now. Thanks for linking to me. My sister, mom, and I started a new tradition of serving a big taco bar on easter so we can all create something that serves our specific dietary preferences. My family is split up too much distance! When we can, we like to go to church, and it is fun to have a nice Easter outfit. Have a special dinner. Chocolate from morning to night with a quorn roast dinner in the middle! A big lamb roast dinner with family! We always have a turkey roast dinner on Easter sunday followed by Easter Eggs for pudding. I’m so glad that this year will mark the first of your many years of Easter traditions to come 🙂 how lovely, enjoy! No real tradition. But we always get together as a family and have a normal Sunday Roast. I make a turkey on Easter with all the fixings. We have the traditional Passover traditions. And now it’s so easy to veganize Matzoh Ball Soup! We don’t really have a traditional Easter meal. We just get what is going cheap in the reduced section at the supermarket. We never know what we will get!! Having boiled eggs with “green sauce” on Good Friday is a tradition I brought with me from Germany. Green sauce is a local speciality from the Frankfurt area which is a sour cream or yoghurt based cold sauce with lots of herbs in it (traditionally 7 different herbs – chives, borage, parsley, burnet cress, chervil and sorrel, but of course you can modify it due to preference and availability). We used to have this in my family on Good Friday for a meat-free meal, and also to use up the boiled eggs which cracked or broke while dyeing, painting and decorating eggs for Easter. Thanks so much for sharing your interesting tradition! Lots of chocolate and baked Easter goodies. I make chocolate spiced cupcakes for my son – glutefree, milkfree and eggfree. We all enjoy them!